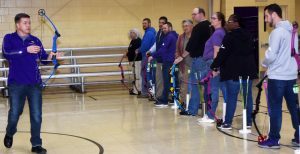 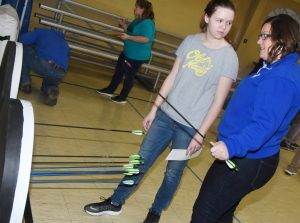 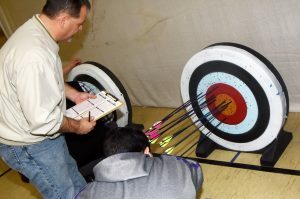 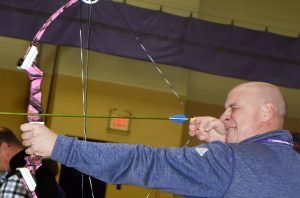 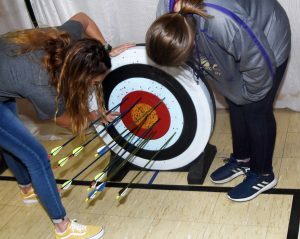 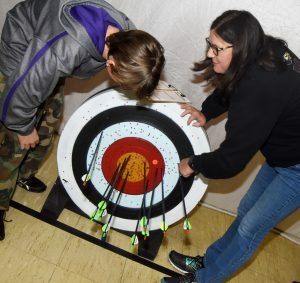 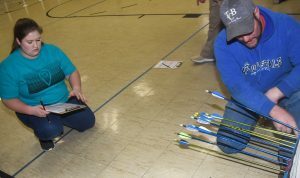 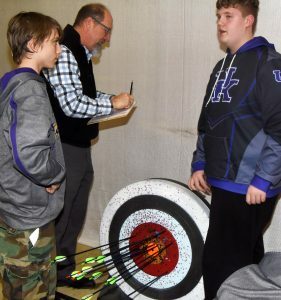 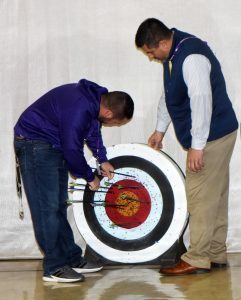 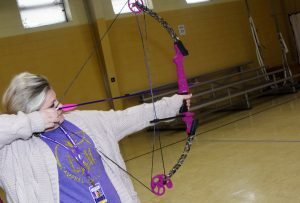 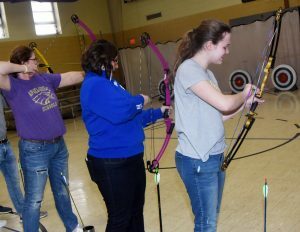 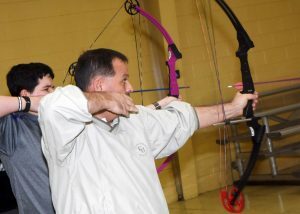 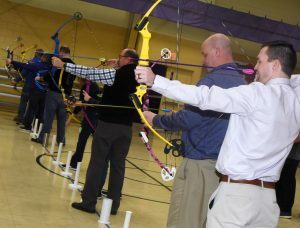 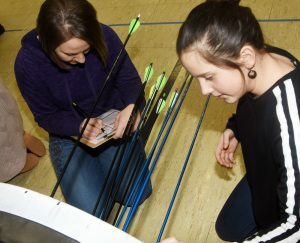 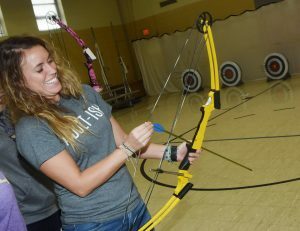 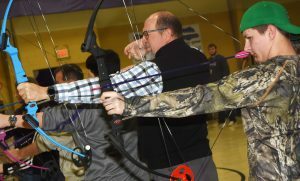 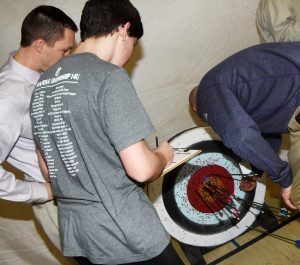 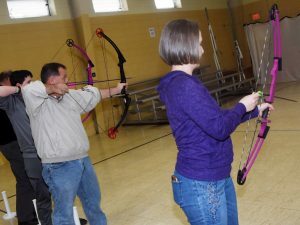 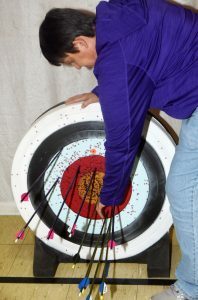 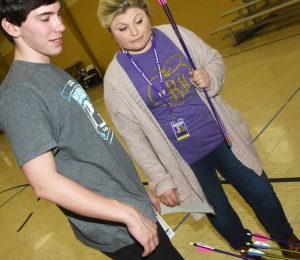 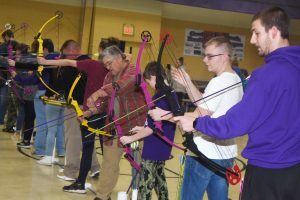 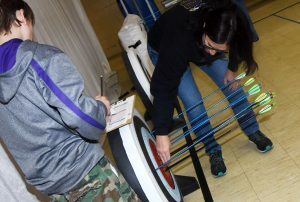 Campbellsville middle and high school archery team members recently took on their teachers in a shoot to see who has the best aim. 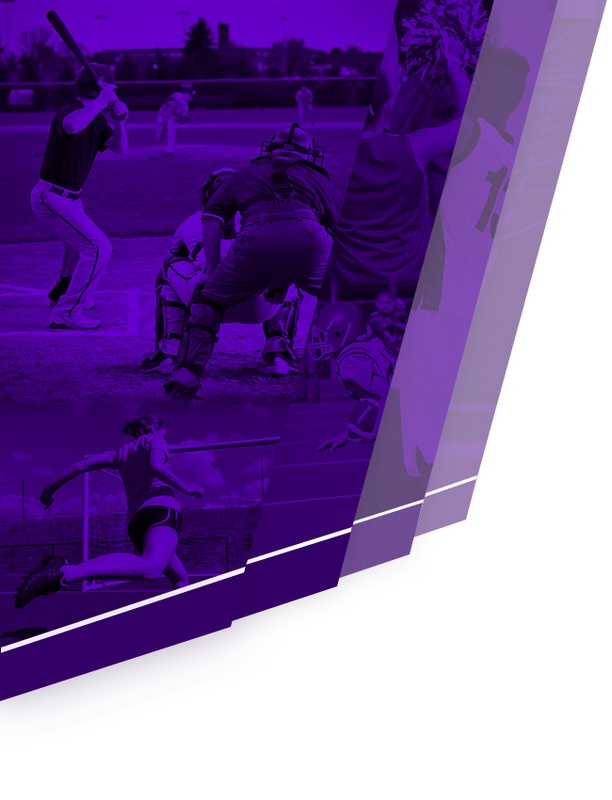 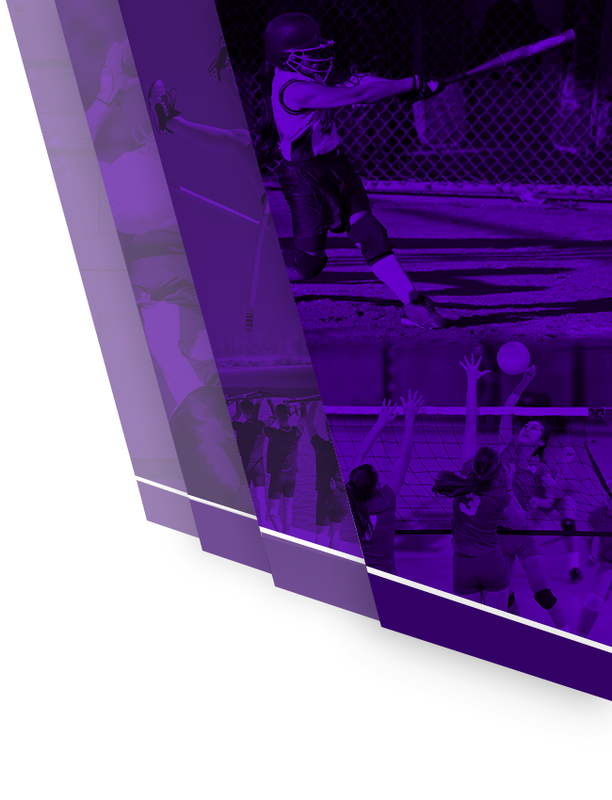 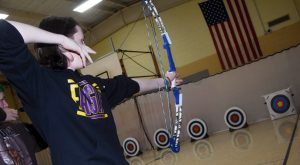 The team, which is competing in its first season, is preparing for upcoming competitions. 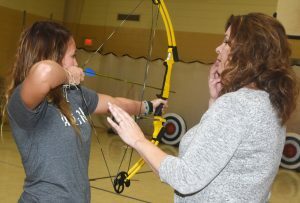 To get some practice – and have some fun – the students challenged their teachers to a competition. 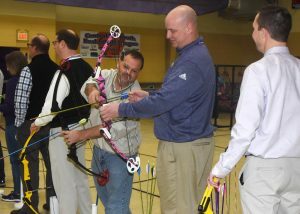 CHS teacher Dale Estes had the highest staff score, at 85. 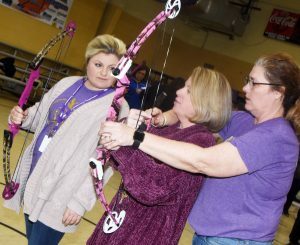 Tammy Wilson, who teaches at CHS, and Virgil Parker, CIO/district technology coordinator, were a close second, with scores of 84 points. 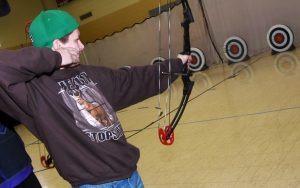 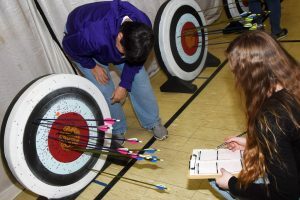 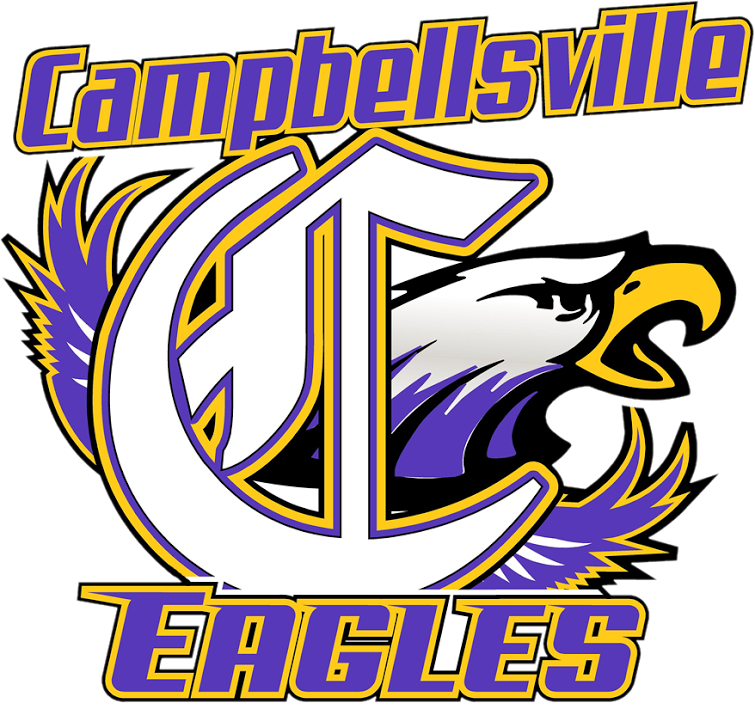 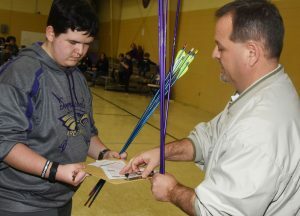 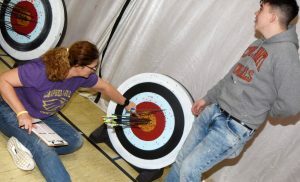 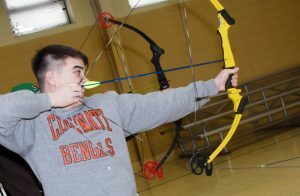 The CHS archery team will compete in the NASP state competition on Friday, March 15, and Saturday, March 16, at Kentucky Exposition Center in Louisville. 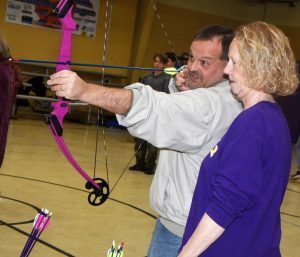 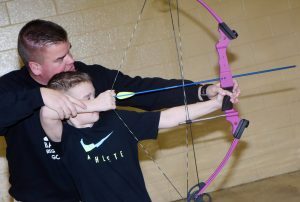 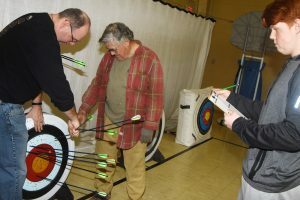 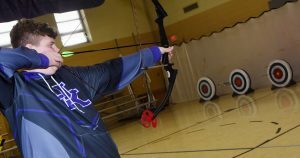 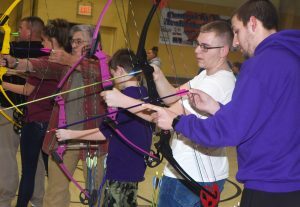 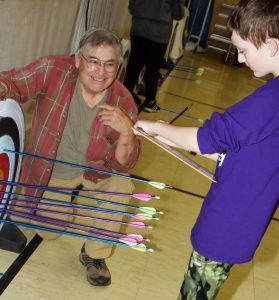 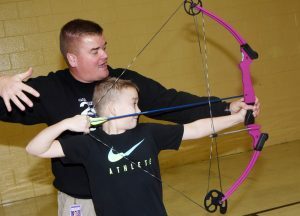 Chris Kidwell is the archery coach.